My Dad was a huge fan of Burt Reynolds, who was one of Hollywood’s most bankable stars throughout the 70s and 80s. After we got a VHS recorder sometime in 1982, Friday night would involve a trip to the local video rental shop, where Dad would invariably choose one of Burt’s films and I would be introduced to classics that I still love to this day – absolute gems such as Deliverance, The Longest Yard and Smokey and the Bandit. As much as the world loved Burt, as the 1990s wore on his box office pull waned and he became less visible on screen. Was this due to a change in public tastes or was this down to some bad choices when it came roles? After all this is the man who turned down Han Solo, John McClaine and James Bond! Adam Rifkin’s fictional film The Last Movie Star attempts to show what happened to the film star when he was no longer wanted. The film opens with a clip from a 1970s TV interview with Reynolds, but with David Frost’s dialogue altered so Reynolds is introduced him as his character Vic Edwards. We then move forward to the modern day where the elderly Vic has taken his sick dog to the vets. As the vet lists all the dog’s ailments, Vic has to accept that his beloved pet will have to be put to sleep. This leads to a frail Vic returning home alone to his empty mansion where he finds an invitation in the mail to the International Nashville Film Festival as the recipient of the lifetime achievement award. After much persuading by his friend Sonny (Chevy Chase), he accepts and flies to Nashville. Once there, he discovers that the festival is a rather small affair being held in organiser Doug’s (Clark Duke) bar, and his promised first class accommodation is actually a run-down motel. To make matters worse, his assigned “personal assistant” is Doug’s sister Lil (Ariel Winter), heavily tattooed and skimpily dressed white trash, who drives him around in a clapped out death-trap of a car. Lil has no idea who Vic is, but the festival patrons treat him like a god. However, Vic feels humiliated by the nature of the festival, gets steaming drunk, insults everyone and leaves to go home. As Lil drives him to the airport he convinces her to drive him to his childhood home of Knoxville where he reflects on his life. Writer/director Adam Rifkin wrote The Last Movie Star’s script specifically for Burt Reynolds using parts of the actor’s biography. Vic’s career transition from college football star to stuntman to actor directly mirrors that of Reynolds’. In a couple of clever, although surreal scenes, the elderly Vic is inserted into Smokey and the Bandit and Deliverance where he converses with his younger self. Key to the film’s success is Reynolds’ portrayal of Vic – obviously channelling his own anger and sadness over how his life has played out leading to a wonderfully warm performance which never gets syrupy. In this writer’s opinion, Reynold’s strongly deserves an Oscar nod come next year. Unfortunately, Ariel Winter is miscast as Lil – I applaud her for trying to move away from the nerdy image of Alex in Modern Family, but you really can’t get past the fact that she looks like a nice girl in a white trash Halloween costume. She spends too much of the film being overemotional and only really shines in the quieter more intimate scenes with Reynolds. 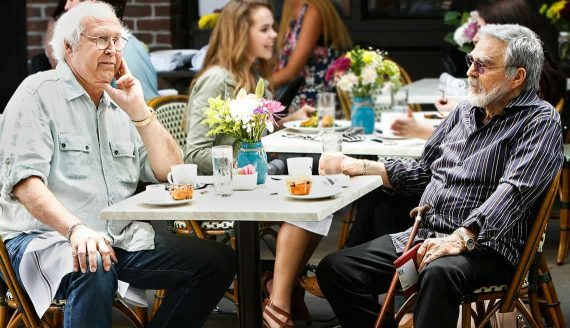 The Last Movie Star’s main theme is of old age and coming terms with a fading legacy. When Vic returns to Knoxville he is forced to confront his past, the choices he made and the consequences to the family he abandoned to make his mark in Hollywood. As difficult as I found it to see Reynolds looking so old and frail onscreen, you are reminded of his star power and how he was able to dominate box offices for so many years. He has lost none of his charisma, still able to flash that famous cheeky smile. It is also a role that allows him stretch his acting muscle granting the audience the opportunity to feel Vic’s sadness and regret. But there is still plenty of room for humour in the film and Reynolds can still play the comedian effortlessly. 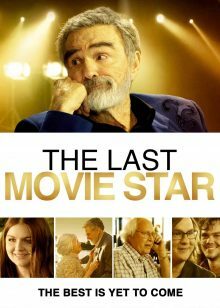 The Last Movie Star is an emotionally rewarding film, but it is rather predictable. 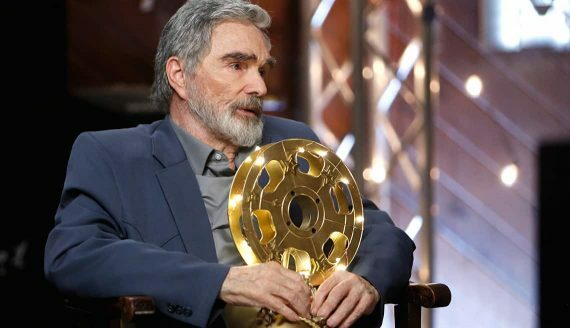 Burt Reynold’s performance is as heart wrenching as it heart-warming and raises the film above its formulaic script. Far from being a clunker, if it ends up being the actor’s final film, it will be a more than fitting epitaph to a great actor and legendary film star.